Unfortunately if you are a citizen or resident of the United States or Canada you can’t invest with IBB Polonia London Volleyball Club. 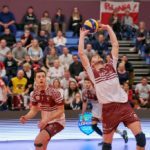 We want you to know exactly how investing with IBB Polonia London Volleyball Club works and why we need your registration details. Please tick this box to show that you have read and agree to our investor terms & conditions. We’d love to send you details of future investment offers and news about IBB Polonia London Volleyball Club. Yes please, I'd like to receive emails from IBB Polonia London Volleyball Club. You can change your mind about whether or not to receive marketing emails from IBB Polonia London Volleyball Club at any time by going to the marketing preferences page.